 Get the best shot-blasting guns from some of the industry's most respected brands, all at the fantastic prices you expect from Euro Car Parts. Shot blasting makes short work of components that need grinding, smoothing or filing. What may normally be a slow, hands-on process can be done to a high standard in no time at all with a shot-blasting gun. We also have all the associated shot-blasting cabinets and consumables to make your project run smoothly. 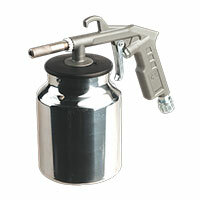 We only sell shot-blasting guns of the highest quality, from some of the top brands in the industry. With a range of price points to choose from, there's something to suit every budget, from keen amateurs to experienced professionals. All our products are available with free UK delivery, or with competitive rates for next-day or international delivery. You can also click and collect your purchase from any one of over 200 stores nationwide. And if for any reason you're unhappy with your purchase, we offer you up to 365 days to return unused items for exchange or return, no questions asked.